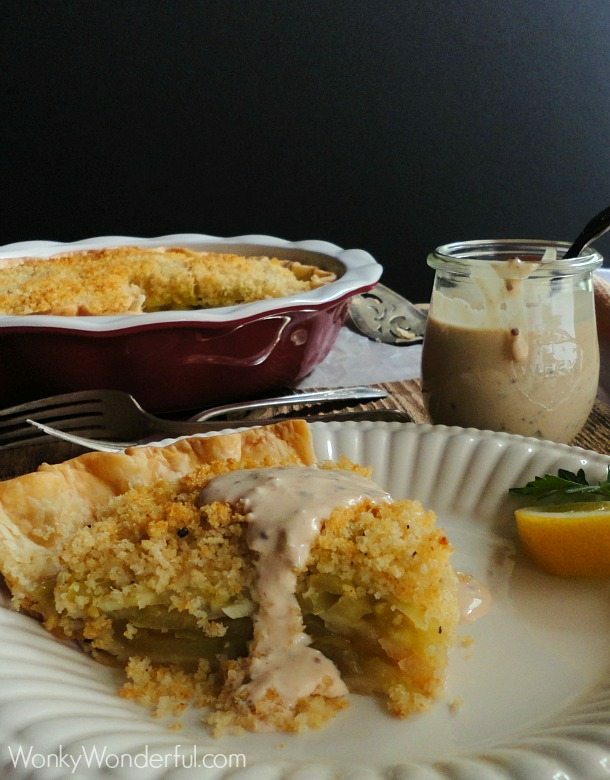 This Fried Green Tomato Pie has the tangy flavor of fried green tomatoes wrapped in a flaky pie crust, topped with bread crumbs and creamy remoulade sauce. A few weeks ago I bought some green tomatoes at the farmer’s market. I had planned on using them in chow chow or green tomato salsa. I have also been thinking about creating a cheesy tomato pie made with fresh ripe tomatoes. Then the thought came to me “I wonder if I could make a green tomato pie that tastes similar to fried green tomatoes?” I gave it a try and was very pleased with the outcome. The recipe needed a few minor tweaks, but after a second attempt the flavor is definitely reminiscent of fried green tomatoes. My love of fried green tomatoes goes way back. I can remember my mom frying up a few batches every summer when I was a kid. When you are a little kid time seems to pass by at a snails pace. So I would stuff my little face with as many fried green tomatoes as possible because I knew it would be a lifetime before the next batch a year later! I guess that is one positive thing about being old, the green tomato seasons come quicker and quicker the older you get. I’m always looking on the bright side! Although green tomatoes aren’t as juicy as fully ripe tomatoes; I still wanted to get as much moisture out as possible. To do this, slice the tomatoes as thin as you can and place onto a cutting board that is covered with paper towels. Sprinkle the tomato slices with salt then cover with another layer of paper towels. Set aside for at least 30 minutes (I let mine sit for an hour). 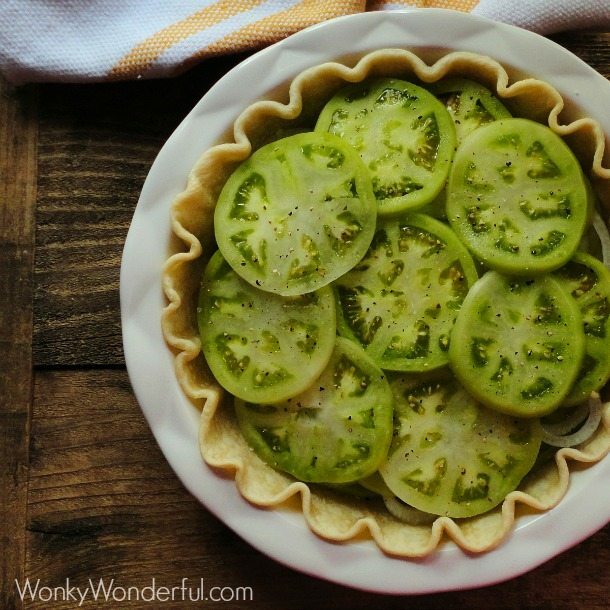 I wanted to keep this pie simple so that the green tomato flavor would really shine. As a result, this pie is super easy to make! Once the tomatoes are ready and the pie crust has been par baked, all you have to do is layer the tomatoes and onions then top with the bread crumb mixture. 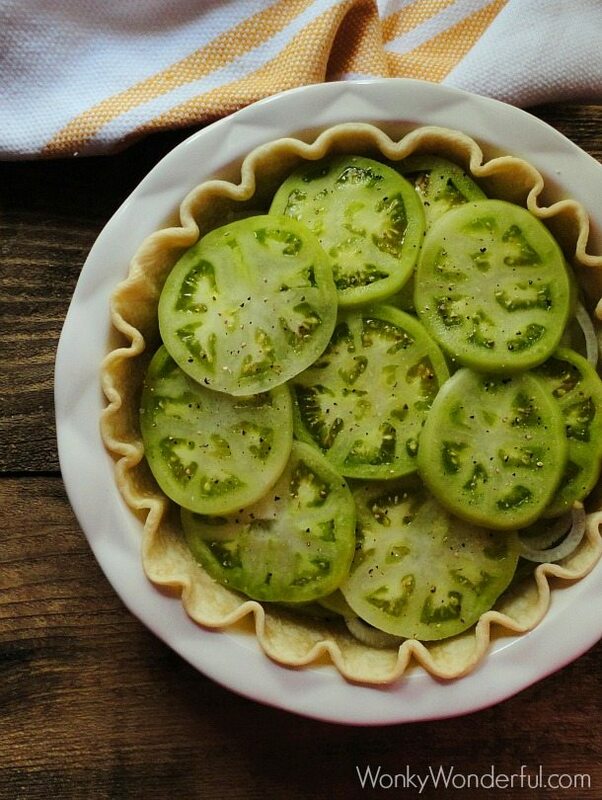 Pop that pie in the oven and wait for your Fried Green Tomato Pie Perfection! 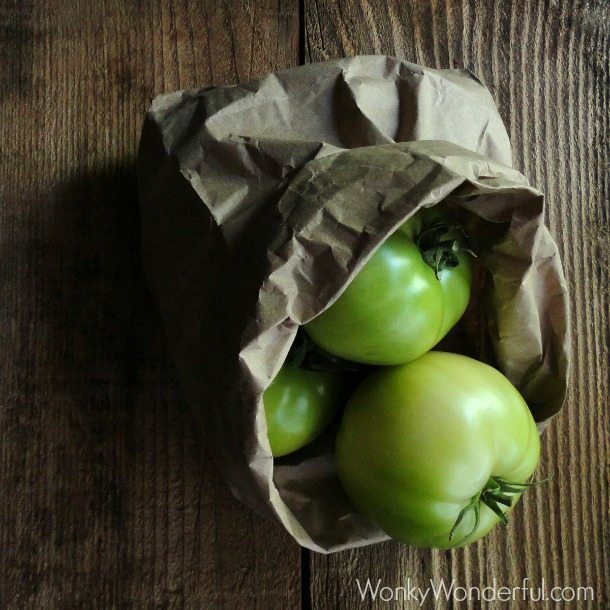 Slice the tomatoes as thin as possible and place onto a cutting board that is covered with paper towels. 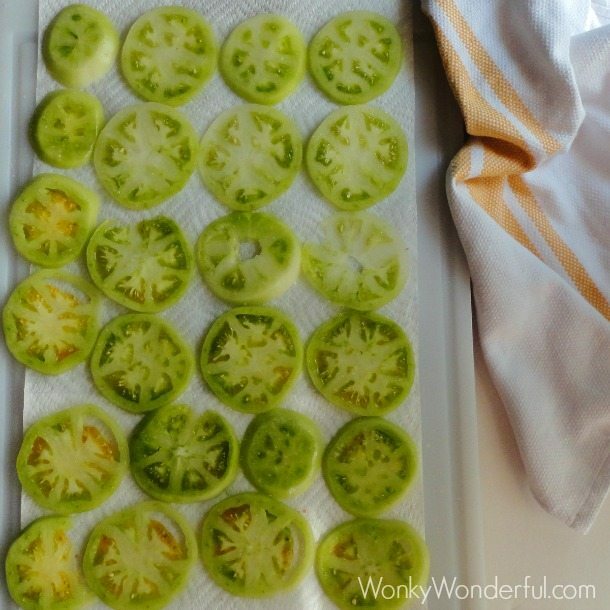 Sprinkle the tomato slices with salt then cover with another layer of paper towels. Set aside for at least 30 minutes (I let mine sit for an hour). Par-bake for 7 minutes at 400°, then remove from oven. Layer the green tomatoes, onions and garlic in the pie crust then sprinkle with salt and pepper. With a fork; mix the melted butter, bread crumbs, garlic powder, cayenne, salt and pepper. Gently spoon the topping over the green tomatoes and spread evenly. Cover with foil and cook at 400° for 40-50 minutes (depending how soft you want your green tomato filling). Remove foil and cook for 5 more minutes or until the topping is golden brown. Allow pie to rest for about 15 minutes before slicing. My mom never fried me up batches of fried green tomatoes, but I have had them on a few occasions in restaurants. They are so good, and this looks absolutely delicious! Yeah, I can eat a platter full of fried green tomatoes! Have a safe trip, Chris! This is an awesome recipe Nicole. I love how healthy it is too. I just love fried green tomatoes but not all the fat from frying. This is perfect! Thanks Christie! I just hate frying food because of all the grease popping everywhere. This pie has the fried green tomato flavor without the oily mess. Have a lovely week! I love love love green tomatoes! My mom used to pickle them, but I think fried is the best way to eat them! I must try this pie! Delish! I have to try this! Would you mind if I shared the recipe with my readers at http://sustainable31.wordpress.com/ ? Thanks Maria! And thanks for asking to share my recipe. If you make the pie and take your own photos I am fine with you sharing the recipe on your site. If you want to use one of my post photos, I prefer that only one photo is used and that there be a link back to my site to view the recipe. Thanks and I hope you enjoy! I’ve never had fried green tomatoes, but my grandma used to always make a green tomato pie & I try to make at least one a year if I can get enough green tomatoes. It’s basically an apple pie, but with green tomatoes instead of the apples, it gives a different texture but is so yummy! 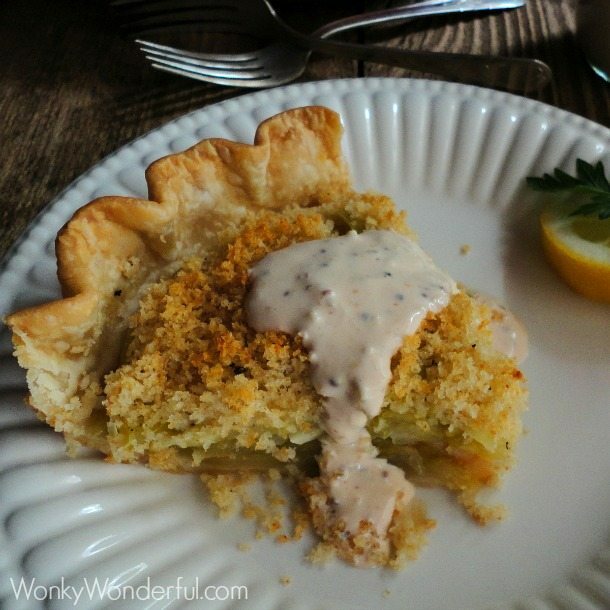 Hi Michele, I have seen recipes for the sweeter green tomato pies … I plan on making one of those too! It seems that folks from our grandparents era used green tomatoes much more than we do nowadays. I love them! Thanks so much for the kind comment, Maria! I’m totally in love with fried green tomatoes!! Found you over at Tuesday Talent Show. 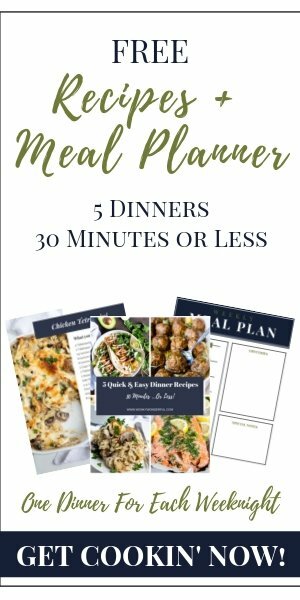 I am co-hosting Tasty Tuesdays this week and would love for you to link up this recipe. This pie is lovely! There is nothing like a bite of food that brings back sweet memories of childhood. Thank you for sharing on Thursday’s Treasures, I”m featuring on Week 99. Hi Kay! Thanks for your interest. Unfortunately I haven’t gotten around to creating my own Chow Chow recipe. But I did do a little searching and found this tasty looking Chow Chow: Chow Chow Recipe Good Luck! I made this recipe tonight, doubled it and created two pies. Unfortunately the pies came out extremely salty. Way too salty. It was really disappointing. I followed the recipe exactly and my tomato slices were rinsed very well and dried. Why did this happen? I think you are right, Nicole. The tomatoes will probably get all mushy. Best to bake it and eat it! Thanks for sharing the recipe. Thanks for this recipe! Most green tomato recipes are sweet (yuck) and I wanted a fried green tomato taste – one difference I plan to try is a cornmeal pie crust – I missed the taste of the cornmeal that my grandmother always fried with the tomatoes so I am going to add some meal to the topping mixture as well. Thanks again for posting this! I’ll let you know how it turns out. I made this last night, but here’s what I would change. I sliced them thick, but tomatoes were a tad thick. So, they don’t get soft all the way. Next time I’d slice them with my mandolin slicer so they’ll be paper thin. They’re green, ie firmer, so they’ll hold up. Same goes for the onions. As for the topping, I didn’t care for how it is just crumbles on top. When you make slices of the pie it just falls all over the place. Not held together. I think next time I’d like to take that crumble and layer it between the layers.. tomato, onion, crumble, repeat. Then I want to put another pie crust on top to hold it all together. I think those are all great changes. I hope it turns out perfectly the second time around. Thanks for the tips! I should have mentioned the pie was wonderful. I made two. A spicier one for the people at work. Everyone loved it. There was a piece left over and I asked if someone cleaned up the breakroom table or did I have to. They said the one lady already took the pie with her. Definitely a tasty pie. I had planned roughly 80 tomato plants this year, so I have all the green tomatoes I want. How did this come out w/ the layers of panko in between the layers? I’m curious if it got soggy? Thanks! I really want to try this! 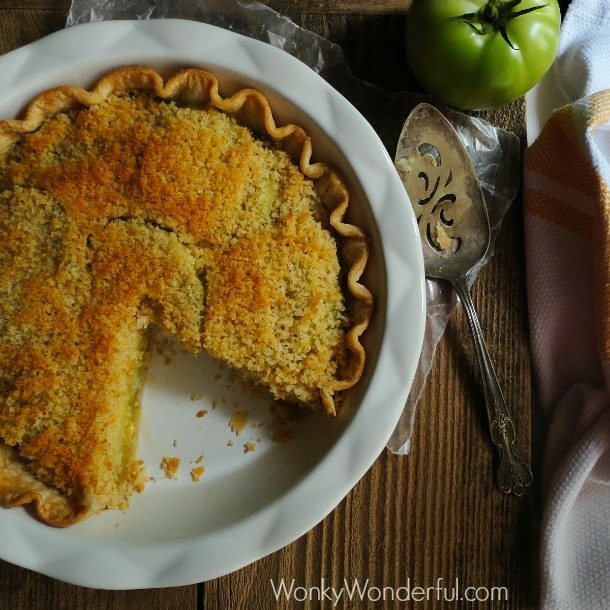 While your recipe looks lovely, when I read Fried Green Tomato Pie, I expected just that. In our Kentucky family, we have been making fried pies for generations, similar to a turnover. I assumed you were sharing a recipe for Fried Green Tomato Pie, not green tomato and onion tart. Still, I look forward to making your tart at some point – after I have of course first made Fried Green Tomato Pie – in the cast iron skillet. All the best. I never cook any green tomato recipe. I am going to try this recipe first time for my parents. I wish it cooked well. I hope you all enjoyed. I love green tomatoes! I’m sorry for your frustrations, Connie. My site must’ve been a little glitchy when you tried to comment.